Originally launched in 2004, UC Browser is the favorite mobile browser of millions of users in China, India and Southeast Asia. It was developed by UCWeb, a mobile Internet company owned by Chinese giant Alibaba of China. While UC Browser is particularly popular in Asia, it has also received attention from users in other regions and it is available in 7 different languages. What makes UC Browser a fantastic option to enjoy your online browsing is its clever performance, combined with its ease of use, speed and cool features. The browser is available on multiple platforms including Android, iOS, Windows Phone and BlackBerry. UC Browser is regularly updated to offer users a great experience and it includes features specially designed for the countries where it is more popular. For instance, users in Bangladesh can get notifications and easy access to ensure that they don’t miss any Facebook message. Those in Pakistan will get alerts about the latest news to stay up to date with what is currently trending around the world. 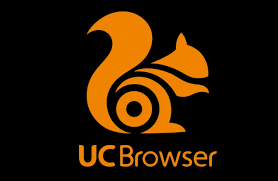 UC Browser aims to offer faster performance and a more efficient browsing experience. It uses cloud acceleration and data compression to help you to get access to your favorite content in less time. The browser’s servers compress the data of the web pages before it is sent to you, which helps content to load faster. UC Browser supports multi-file format downloading and it features cloud syncing and HTML5 web app. UC Browser allows you to manage downloads easily and you can keep pages for offline reading, or if needed, you can also pause a download and continue at a later stage. The data compression feature is probably one of the best things about this browser. Thanks to it, your data consumption is reduced so you can browse more without worrying about going over your data allowance. Using the cloud system, UC Browser sends and captures data from the closest servers, which is meant to reduce the loading time, making your browsing experience faster and more enjoyable. In spite of all the good aspects about UC Browser, there are some negative points that should be considered, particularly if you are concerned about your online privacy. The security of UC Browser was questioned in 2015, when a research group called Citizen Lab revealed that the data of many users had been compromised. They published the results of their tests on UC Browser’s English and Chinese versions. According to documents leaked by Edward Snowden, the Australian Signals Directory (ASD) had identified security weaknesses in UC Browser and it was exploiting them. Given the popularity of the browser in large markets like China and India, the Australian equivalent of the NSA, saw a major opportunity to intercept users’ activities online. With the help of its Five Eyes partners (New Zealand, Canada, UK and the US), the Australian government through its intelligence agency, targeted the UC browser and infected users’ devices with spyware. In addition, Citizen Lab reported that personal information was being transmitted to multiple commercial tools and raised concerns about the lack of encryption, or poor level of encryption applied to protect users’ online browsing activity. Alibaba addressed these problems and gave Citizen Lab updated versions of the browser for testing. While Citizen Lab later confirmed that their tests showed that in general, the data leaks and privacy issues had been resolved, UC Browser users should take measures to enhance the security of their information. In order to keep your browsing activity and personal data protected against online surveillance, tracking or hacking, using a VPN extension is essential. Since UC Browser is mainly used in Android, we have focused on VPN services that offer great support for that platform, as well as a strong level of security, of course. Here our our top picks for UC Browser. ExpressVPN offers excellent mobile apps and a service that is incredibly fast. Combining the security and speed that ExpressVPN, with the faster loading process that UC Browser supports, will allow you to enjoy amazing results. 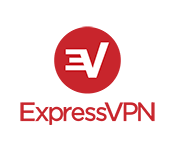 ExpressVPN may be slightly more expensive than other options, but it is one of the best ways to secure your online traffic your mobile devices. They offer convenient features like automatic protocol and server location recommendations, which will make things easy when you are browsing, streaming, or downloading content. 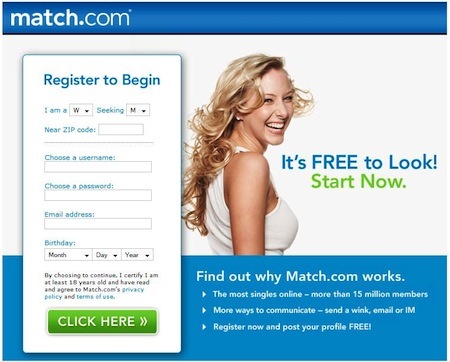 They don’t keep logs of your online activities and provide excellent customer support. Known for its zero logs policy and strong security, NordVPN is an excellent solution for UC Browser. It offers high quality software for multiple platforms, including Android. They don’t log any aspect of your online activity, or your connection and since they are based in Panama, they are away from the jurisdiction of Five Eyes’ agencies like the NSA, the GCHQ and the ASD. 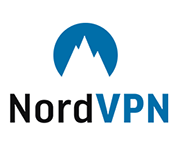 With NordVPN, you get access to top security options like multi-hop double connection and Tor over VPN. Through its mobile apps apk and advanced features, NordVPN will give you security, no matter where you are connecting from. PIA offers low prices, but high quality and strong security to keep your information protected at all times. Apart from being one of the most affordable options available, PIA is trusted by many users thanks to its excellent track record protecting privacy. They don’t keep logs of your online activity, use shared IPs and Bitcoin is accepted as method of payment. PIA has apps for iOS and Android, as well as instructions to set up different protocols on these platforms. PIA is ideal for secure mobile browsing and it gives you access to more than 3000 servers in 24 countries. They support up to 5 simultaneous connections.